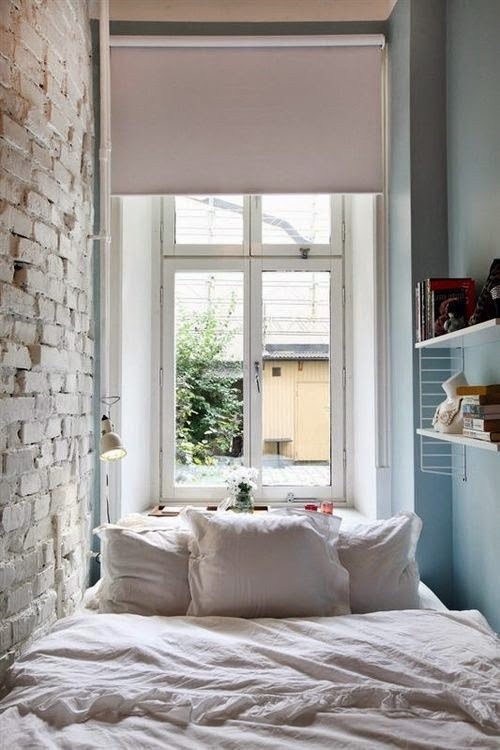 One of the Popular problems when we decorate our bedroom is the Small of space. In home decorating small bedrooms, The creativity is the most important thing to make the most of the square meters at our disposal. To inspire you to get dreams bedrooms then we present a lot of images to help you on your design, let's see it! If you live alone in the home, you can choose to delete partitions and walls. 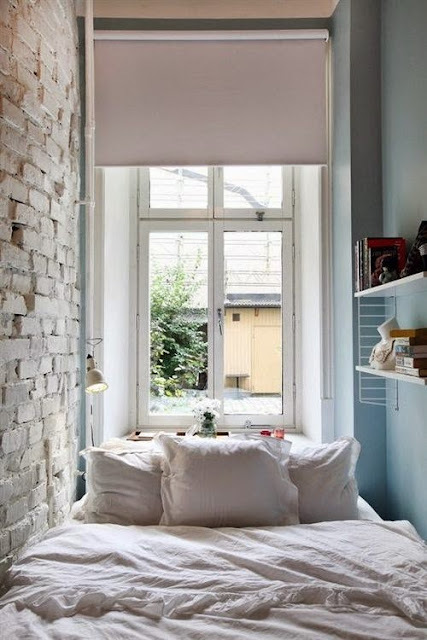 Separating stay by curtains or other partitions get to save space, you can use your own bedroom. If your room is long and narrow, you can opt for a bed that suits its width. You can enter through the foot of the bed and take the ledge as the nightstand. 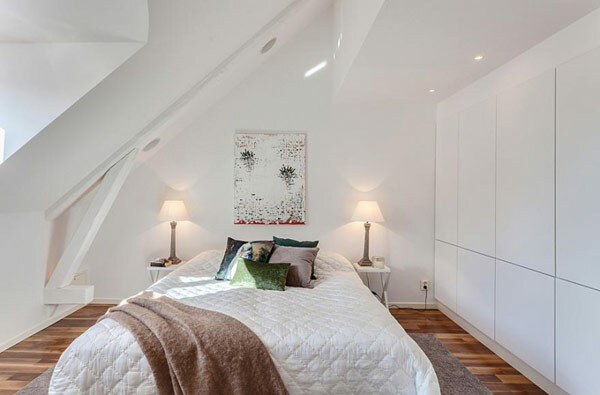 A classic in modern decoration small bedrooms in studies of high walls is to place the bed on top of the room. 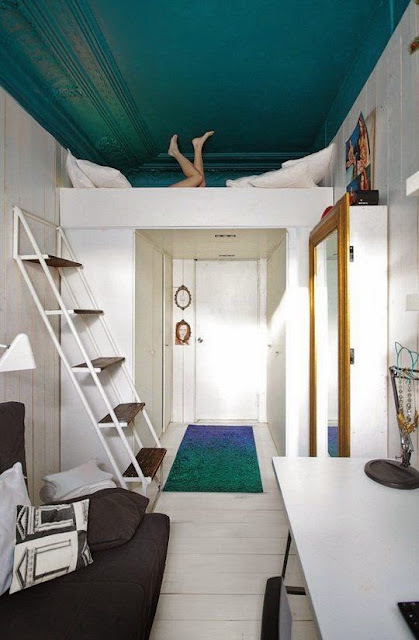 In this way, we can take the rest of space as a living room. 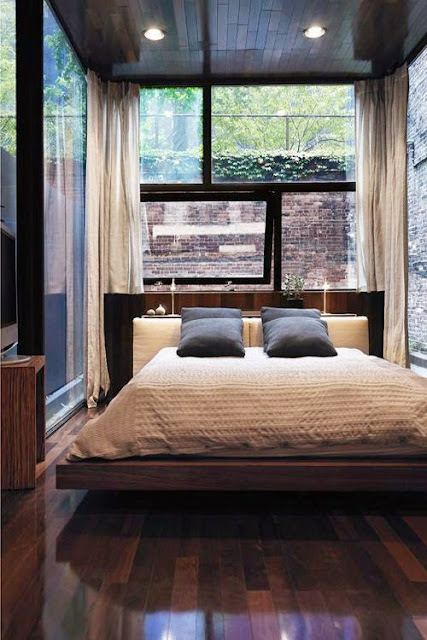 This suspended bed is another example of modern bedrooms with stylish, polished and elegant. This design is inspiring and very simple. The bedrooms in black and white are also very fashionable. 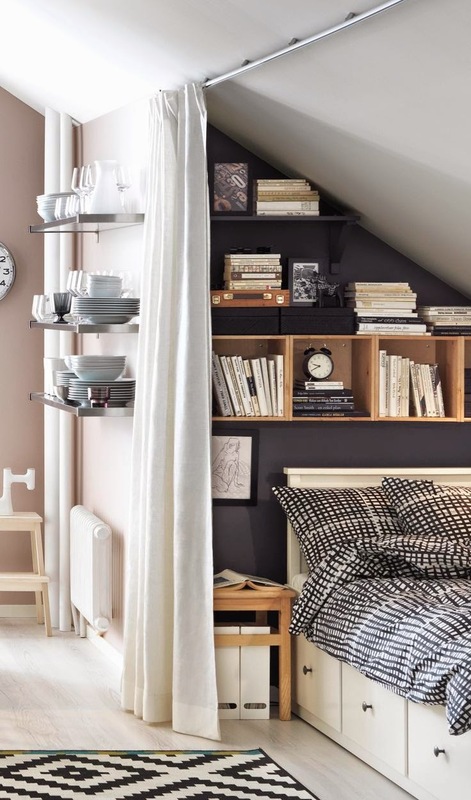 Although black is not very common for the bedroom walls, you can choose to paint one, keeping the rest blank. The result is very aesthetic and beautiful. 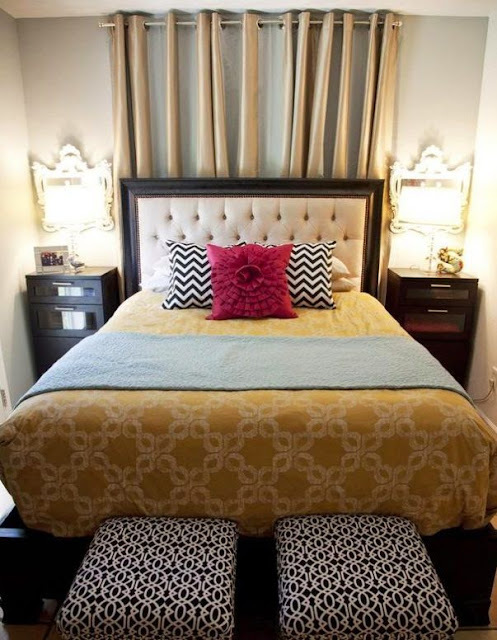 A very typical decoration design small, modern room is to place the bed in the middle of the room with bedside tables on either side. You can also take the opportunity to put the padded stools at the foot of the bed, ideal to put or change clothes. 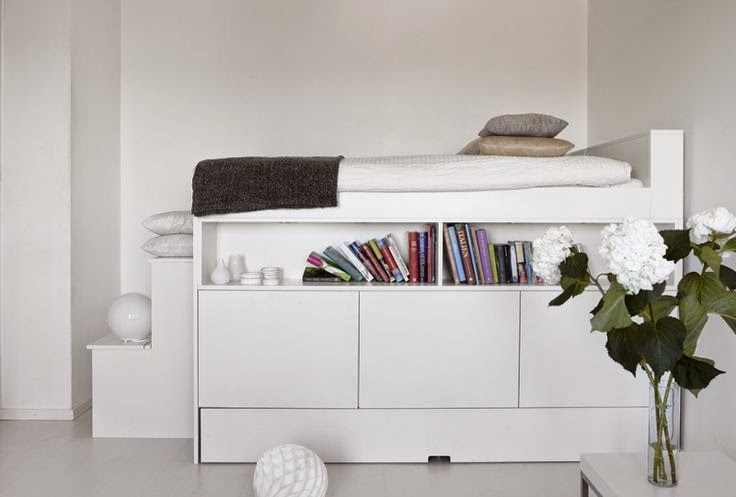 In the picture, we can see a new design of a high bed that takes advantage of its lower space and storage system. This idea is ideal especially for young people with very small bedrooms. 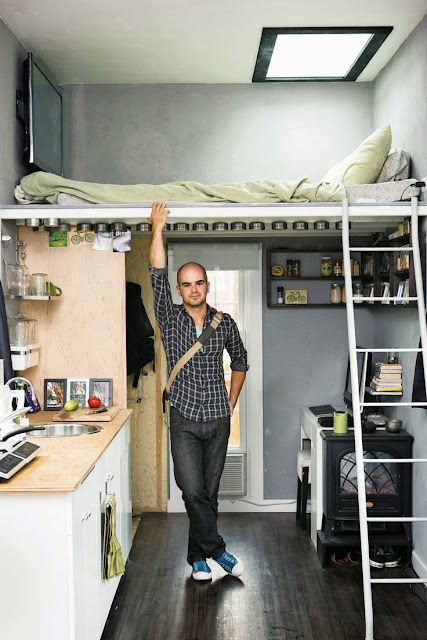 If you live alone do not need much to be happy, look at the bedroom of this young man in less than 25 square meters you have everything you need to live.